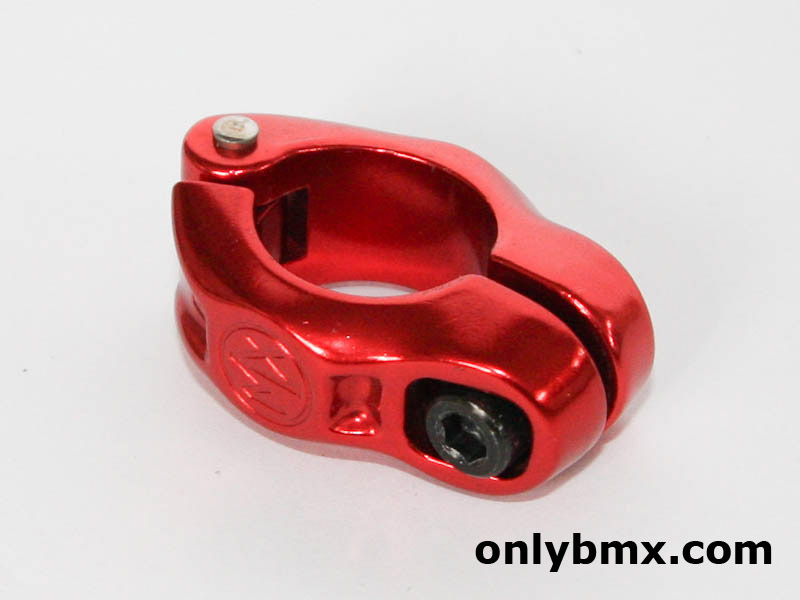 New Dia-Compe MX BMX seat post clamp. 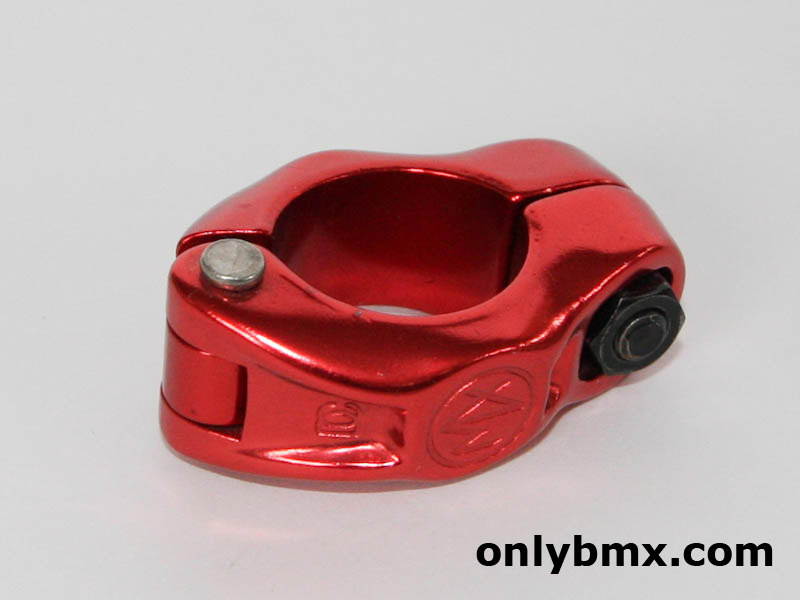 This is one of the hinged old school BMX seat post clamps from Dia-Compe. Much nicer than the two piece Dia-Compe one also sold back in the day. 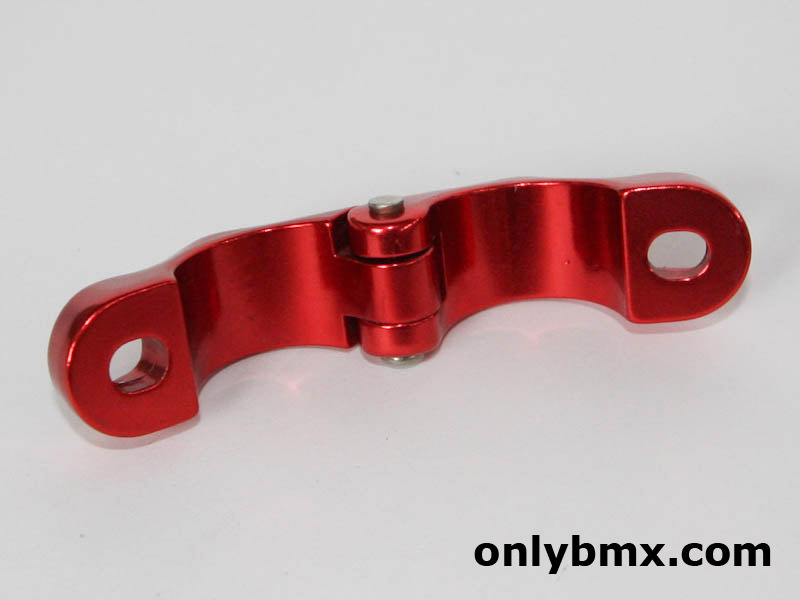 The red anodising is still in prefect condition and no signs of shop wear or fading. 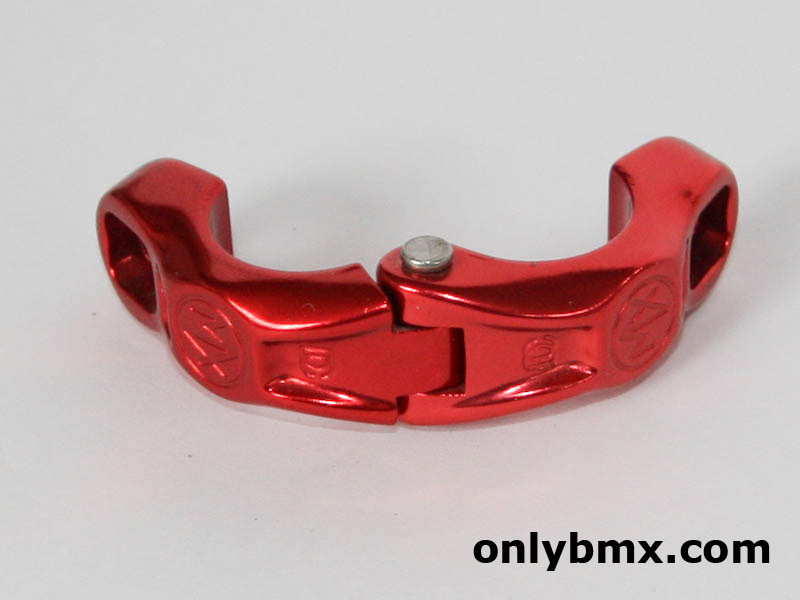 Not sure if these came as original equipment on any vintage BMX bikes, however, you can stick them on almost any early BMX bike and they will be era correct. 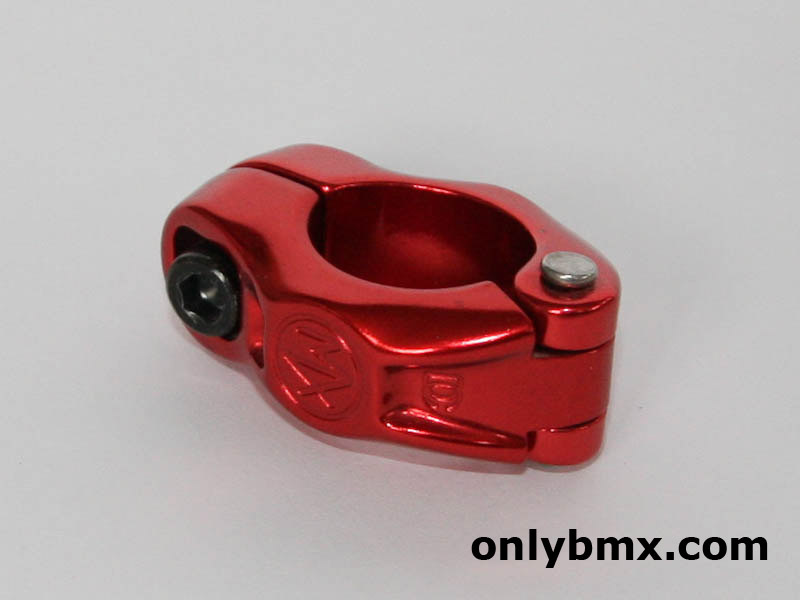 It fits any BMX that takes the 22.2mm seat posts and not the newer 25.4mm ones. This is not one of the recent reproduction seat post clamps and like most of the other things, I have owned it for years.